Miami Club Casino is running on the WGS Technology platform. The slots are also from the WGS Company. There are barely a few of these slots in any other Bitcoin casinos. 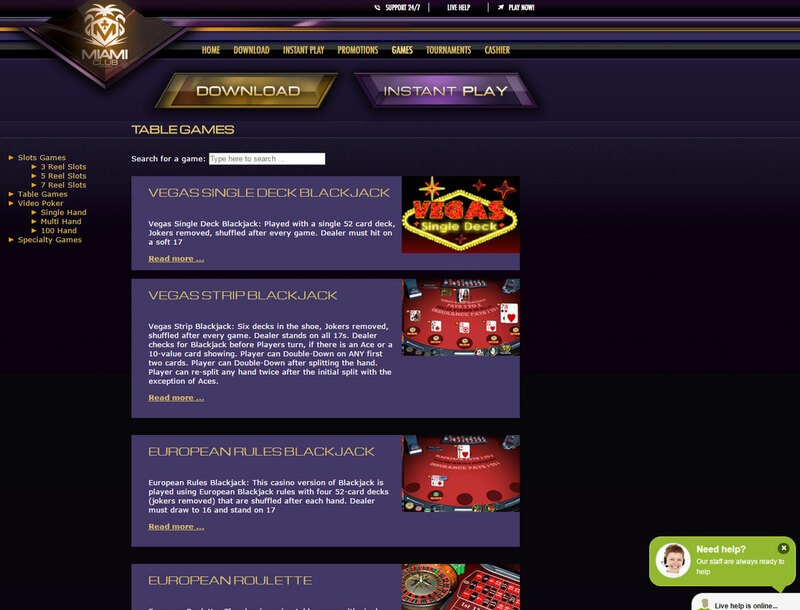 The casino also offers an incredible welcome package and compensation program. You can find out more about Miami Club Casino with this Bitcoin slots review. When it comes to slots, Miami Club Casino has a ton of these games just waiting for you. There are more than 130 slots with different themes and gameplay mechanics. There are slots that have a classic look and have few reels and paylines. 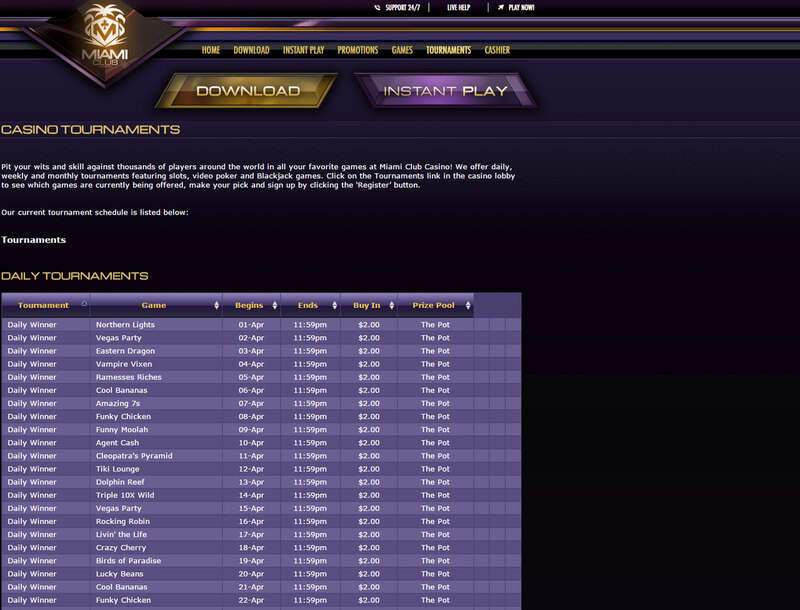 You can also find slots with five reels that have the usual features that you see in many slot games. The Bitcoin casino also has other unusual slots such as Farming Futures which has seven reels. The best part about Miami Club Casino is its progressive slots. These slots have a massive jackpot prize amount that keeps on growing as people keep spinning the reels. With just a dollar or less, you can instantly get more than a thousand dollars’ worth of payout with these slots. Miami Club Casino is giving you a bonus on not one, not two, not even five, but eight of your first deposit. You will get a 100% bonus of up to $100 on each of your eight deposits. 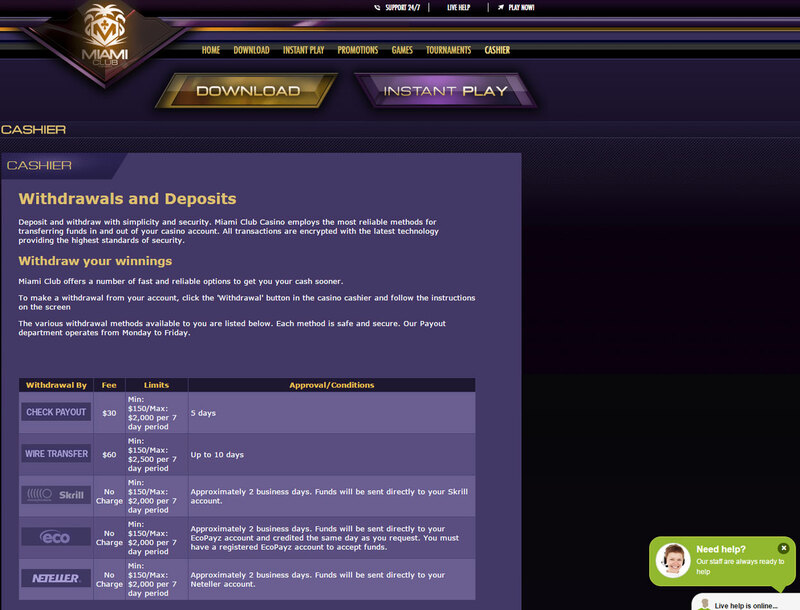 You will instantly get your Bitcoin casino bonus after making a deposit. You can turn the bonus into real currency by meeting the wagering requirement. Fortunately, the casino has a small requirement which is 20 times the bonus and deposit amount. Different casino games will contribute little to no count towards meeting the requirement. However, every slot games will give you 100% count on passing the requirement. Another promotion to keep an eye on is the casino’s Comp Point system. For every $100 you wager, you get one point. You can turn this point into bonus credits. You can get at least $2.00 bonus for 2,000 Comp Points. Miami Club Casino directly supports Bitcoin deposits. The smallest amount you can deposit is $10 and the highest is $2,500. At this time, the casino does not have any option for you to transfer your bankroll to a Bitcoin wallet. However, you can make use of Neteller service to convert your bankroll back into Bitcoin. The support staff at the Miami Club is reachable via its phone line, live chat support, and email address. The support staff is available to help you 24/7.